Join us on this truly encompassing overland tour throughout the storied and seldom fully-explored island of Hispaniola. We will begin our journey in the authentic, colorful and Creole-speaking nation of Haiti, the only country in the world to have been established by a successful slave revolt, which despite deep scars from decades of poverty and only slowly rebuilding from the devastating earthquake of January 2010, is a true survivor and the friendly people of this vibrant country make a visit truly unforgettable. Later we will enter the Dominican Republic, which although sharing the same island as Haiti, is about as different as two countries could possibly be and the stark opposites between these nations is truly an experience to behold for the adventurous traveler as we weave our way across black Creole-speaking Haiti to the rich colonial history and lush tropical beauty of the Dominican Republic among the Spanish-speaking Dominicans. This tour is guaranteed to be not only immensely fascinating but deeply enriching as we will get to truly know and experience this wonderful island of extremes. Explore Port-au-Prince, one of the most colorful and vibrant cities in the Western Hemisphere. Visit the century-old, Grand Cemetery (Grand Cimetiere De Port-au-Prince), known for its above-ground, brightly-colored vaults and raised tombs. Venture deep into one of the wildest areas in the Caribbean, the 2.5 mile long Marie Jeanne Caves in Port-à-Piment. Soak in the pleasant vibe in the colonial southern town of Jacmel. Take a dip at the Bassin-Bleu, a gorgeous natural pool and waterfall in the forests of southern Haiti. Drive the rarely-explored west coast of Haiti and visit the former sugar plantation and colonial mansion, Musée Ogier-Fombrun. Admire the off-the-beaten path, Saut d’Eau Waterfalls, which is a religious icon in Haiti where people make an annual pilgrimage to bathe and pray for blessings and healing. See the Musée du Centenaire in Gonaïves that was inaugurated in 1904 to commemorate the nation’s first century of independence. Climb by horseback to the amazing and visually-powerful, Citadelle LaFerriere — a well-maintained and epic battle fortress battle atop a 2,000 foot mountain in northern Haiti that claimed the lives of about 20,000 people over its construction. Spend time seeing the pretty town coastal town of Puerto Plata and taking a cable car to the top of Mt Isabel Torres for sweeping views. See how cigars are packaged and produced in the charming colonial city of Santiago de los Caballeros. Enjoy the beauty of the lush northeast coast of the Dominican Republic from Jarabacoa to the beautiful beachfront town of Samaná and have time on Playa Rincón beach. 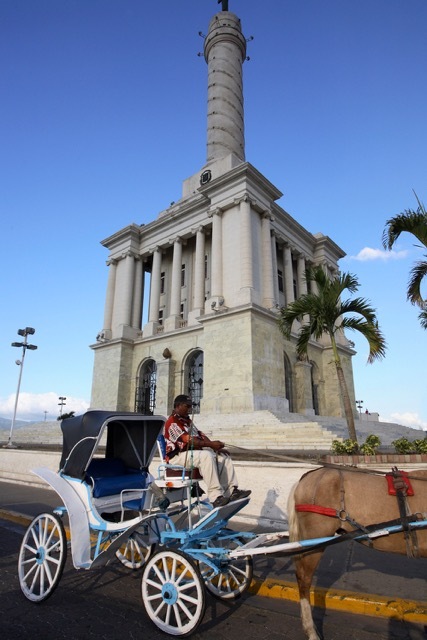 Step into history as we explore the UNESCO-listed gem of Santo Domingo, the largest city in the Caribbean and bursting with 16th to early 20th century architecture. 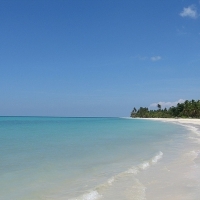 Drive the stunning southern coast of the Dominican Republic to the bio-diverse coastal regions with time in Barahona. Sail around Lake Enriquillo, the largest lake in the Caribbean, and visit the world’s largest American crocodiles reserve and hike to the Taíno cave, Las Caritas, with its petroglyphs. Explore Jaragua National Park, the largest in the Dominican Republic, which its spectacular beach, Playa de las Aguilas, the most beautiful in the entire country. Head up the Sierra de Bahoruco mountain range in a safari truck to the unique Larimar Mine, which is famous for its blue-green larimar gemstones. Arrive into Port-au-Prince and be met by our friendly Haitian reps and set off to take a walking panoramic tour of the historic gingerbread houses (which are over 120 years old) en route to the Le Plaza Hotel. After checking in, we will take a comprehensive tour of the Caribbean’s second largest city to include the newly-constructed Iron Market, Champ de Mars, the Pantheon Museum (which has relics from the historic past of Haiti), and see the damages that have lingered on since the January 2010 earthquake at the damaged Catholic Cathedral, St. Trinity’s Episcopalian and the loss of its native art murals, as well as the National Palace. Overnight at the Le Plaza Hotel. We set off early this morning we will briefly visit the The Grand Cemetery (Grand Cimetiere De Port-au-Prince), which is hundreds of years old and known for its brightly-colored, above-ground vaults and raised tombs. Although it was not spared damage from the earthquake, it is an incredibly authentic and atmospheric place to view. We then continue towards Port Salut, where after a roughly three and a half hour drive we arrive in the town of Les Cayes. Due to its isolation from the political turmoil of the capital, Port-au-Prince, it is one of Haiti’s major ports and is world’s largest supplier of vetiver, an ingredient of perfume and fragrances. We will then travel down to Port Salut where we will check into our hotel and have lunch before driving out to the magnificent Marie Jeanne Caves in Port-à-Piment, which is known as the wildest known cave in the Caribbean. After a short walk up the mountainside, a set of steep stairs, and some thick jungle vegetation, we will enter the cave itself, which is the longest cave known to this day in Haiti. The cave is a veritable 2.5 mile-long labyrinth with three levels of galleries. Accompanied by a guide, you will be able to explore its depth and discover numerous types of underground landscapes and caverns. After this fascinating tour, we will return to Port Salut. Overnight at the L’Auberge du RayonVert. This morning we will set off back towards Les Cayes passing pleasant scenery and rice paddies en route before heading up through the great plain area to the wild coast of Saint-Louis-du-Sud. Next we will continue our way to Zanglais (named after the English in colonial times) where we will have lunch at Jardins sur Mer, a pretty hotel on top of a peninsula with wonderful bay views surrounding it. After lunch we will continue our drive to Jacmel, which has a colonial city center that is tentatively listed as a UNESCO World Heritage Site. Jacmel makes a wonderful place to stroll around to admire the wrought-iron buildings and stunning beachfront location, complete with a relaxing and laid-back vibe. Later we will head out to the Bassin-Bleu, which simply means “blue pool”, a protected little forest oasis with natural blue pools and waterfalls in a beautiful nature setting where you can take a swim or simply marvel at the beauty of the area. Overnight at Colin’s Hotel. 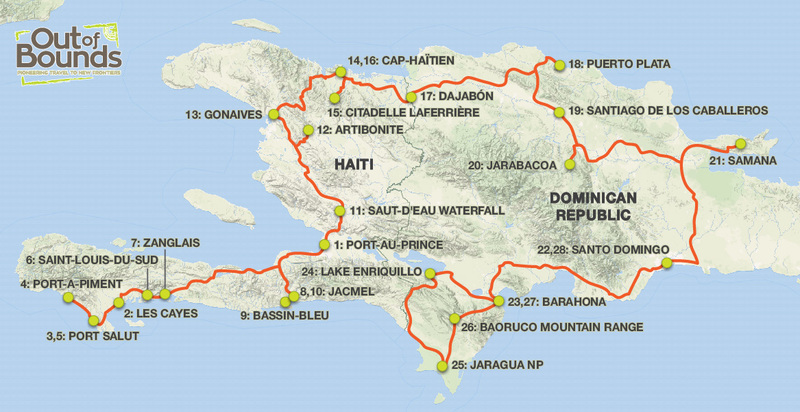 A long up Haiti is in store for us today as we will drive from Jacmel roughly four and a half hours to the waterfall in Saut d’Eau Waterfalls near Mirebalais in central Haiti. For over a century, thousands of people head to the 100 foot waterfall every July over three days on a religious pilgrimage (even more so since the devastating 2010 earthquake) to bathe in the waters, praying for healing and asking for favors from the Virgin Mary of Mount Carmel. 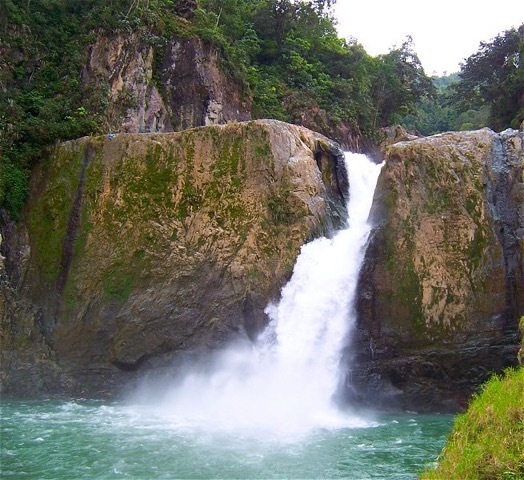 Every July over three days the sick and the needy let the water of the falls wash over them as they perform various rituals of both Vodou and Catholicism in a religious festival. Next we will pay a visit to Musée Ogier-Fombrun, a restored sugar cane plantation and colonial mansion which has an interesting collection of artifacts used by the intrepid freedom fighters during the time of slavery lead by the European conquistadors in the West Indies. Overnight at the fantastic Moulin Sur Mer in Artibonite, one of the most charming places to stay within the country. After breakfast we will head for a short visit to the town of Gonaïves, which was founded in 1422 by Indians who named it “Gonaibo”. It has a deep history of importance within the country. In 1802 the French captured the revolutionary hero François Dominique Toussaint Louverture at his farm outside the town and Jean-Jacques Dessalines proclaimed Haiti’s independence from France at the town’s Place d’Armes on Jan. 1, 1804. Another notable site is the Musée du Centenaire, inaugurated in 1904 to commemorate the nation’s first century of independence. Later we will continue our drive to Cap-Haïtien, where we will be based for two days exploring this fascinating and historical region. Dinner and overnight at the Cormier Plage Hotel, which is located in an attractive area on the beach. This morning we will head outside of town to Milot to visit the truly imposing and UNESCO-listed Citadelle LaFerriere, a stunning battle fortress which was built in the early 1800s atop a 3,000 foot mountain. We will reach the fortress by horseback where we will have time to thoroughly explore this stunning piece of history. Later we will continue back to Cap-Haïtien for lunch and then visit visit the Citadelle and Sans Souci Palace, which is a crumbling former royal residence of King Henri I of Haiti, Queen Marie-Louise and their two children. Dinner will be at a local restaurant and the evening will be at leisure. Today we are saying goodbye to the wonderfully interesting country of Haiti and we will be transferred to the border town of Dajabón where we will enter the fascinating country of the Dominican Republic, where on arrival the scenery, people and landscape will begin to change before us as we make the roughly three hour drive to the northern city of Puerto Plata. The city boasts the largest collection of still-standing 19th century Victorian-style houses in the Caribbean. Its San Felipe Fort is one of the oldest military colonial period fortresses in the region, dating back to 1577. 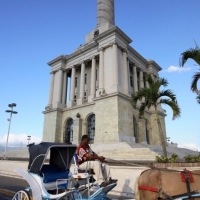 Puerto Plata is also the province where the remains of the first European settlement in the Americas are located. Admiral Christopher Columbus’ famous three ships made landfall here in 1492, naming it La Isabela. But today Puerto Plata is better known for its Atlantic coastline with more than 62 miles (100 km) of beaches, coastal villages and hotels. 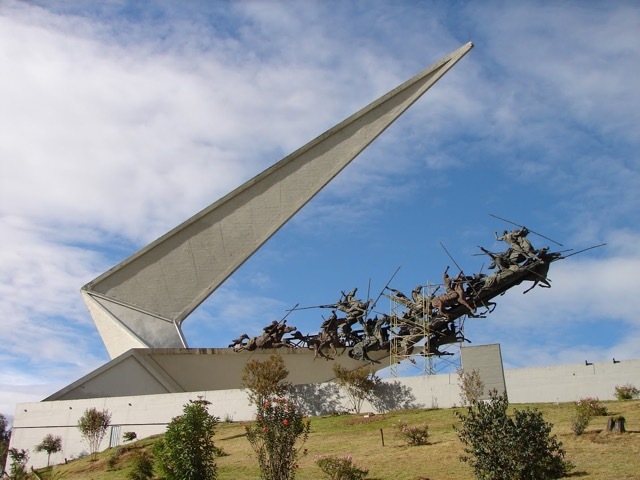 We will begin our tour with a trip to the top of Mt Isabel Torres, southwest of Puerto Plata and 2600 feet above sea level, by cable car which will allow spectacular views and is notable for its huge statue of Christ. Later we will head to the Museum Gregorio Luperon that captures the life and times of Dominican Republic’s native-born son and independence leader, Gregorio Luperón, which are impressively fleshed out inside this beautifully restored pale-green Victorian-era building. Photographs and period artifacts trace Luperón’s life, from humble beginnings to his role as provisional president during the ‘Restoration’, as well as tell Puerto Plata’s story during the late 19th century. From there we will head over to the Amber Museum, an outstanding example of Victorian architecture, the museum houses a unique collection of valuable Dominican amber. Experts say this amber is known to be the most transparent in the world. Amber is classified as semiprecious and is actually tree sap that has hardened for millions of years, capturing many fossils of plant and insect life. A further walk through the center of town (Parque Central) will take us to the resplendent white towers of the Church of San Felipe. After breakfast we will begin our drive for a little over an hour to Santiago de los Caballeros, the Dominican Republic’s second largest city which was founded in 1495. First we will visit a cigar plantation and factory. The tradition of fine cigars in the area remains very strong and this is one of the best areas in the Caribbean to witness the fine art of cigar production. Later we will spend time learning about Caribbean and Dominican culture and art at Centro León, one of the region’s most active museums and cultural centers. Today we head an hour further on to the stunning northeast coast to Jarabacoa, which sits at an altitude of 1,736 feet (529 meters), is an ideal spot for adventure activities including mountain biking, canyoning, paragliding, rappelling, horseback riding, and the best river rafting in the Caribbean. 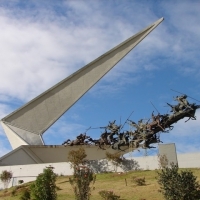 Jarabacoa is also the most popular gateway for excursions to the highest peak in the Caribbean, Pico Duarte. In the morning we will continue on roughly three hours to the gorgeous town of Samaná. With its coves, nature trails, waterfalls, mountains, bays and awe-inspiring views, Samaná is truly a beautiful place to be. It is also internationally known for its seasonal whale-watching from mid-January to the end of March when gentle humpback whales mate and calve in Samaná Bay. We will explore Samaná on foot and experience its cosmopolitan vibe and spend time visiting the famous Playa Rincón beach. Leaving the northern coast behind in the afternoon, we will weave our way through the country over a couple hours to the UNESCO-listed city of Santo Domingo, the largest city in the Caribbean and one of the best preserved and most interesting cities in the Americas. Santo Domingo is a true wonder to stroll around and we will visit the very walkable grid of 16 short streets with jewels of 16th to early 20th century architecture. Cobblestone lanes and iron street lamps lead to the many small museums, shops, hotels, restaurants and bars that are tucked away on every street. 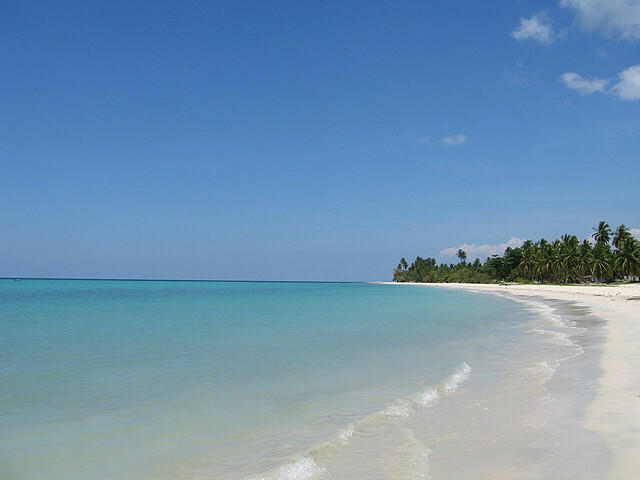 We will have the morning to explore Santo Domingo before heading after lunch on a scenic three and a half hour drive to the far west of the Dominican Republic to Barahona. The area is known for its panoramic scenery, surfing beaches, biodiversity, forests and birding. 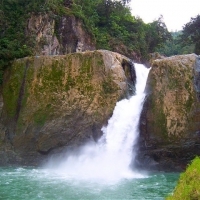 The inland provinces of Bahoruco and Independencia and coastal Barahona make up this destination in the southwest. While places may appear to be close to each other on the map, this is in fact a very large area covering around 3,000 square miles (around 7,500 km2) requiring several days to see its spread out attractions. We will overnight at Rancho Don Cesar situated in nearby Paraiso. After breakfast we will head to Lake Enriquillo, the largest lake in the Caribbean with an area of ​​102 miles and is 30 meters below sea level. We will head out into the center of the lake and visit Cabritos Island, which is the last refuge of the famous native cacique Enriquillo, with its typical fauna of iguanas, scorpions, crocodiles and birds (60 different species including red flamingos, egrets and herons). The rainfall in this region is the lowest in the country, making it the driest place of the Caribbean, thus the vegetation is mainly made of 50 species of cactus, most of them endemic. Lake Enriquillo is also the world’s largest American crocodiles reserve and nearly 400 crocodiles lay their eggs there and spend their days around that part of the lake where a cold river meets the salty lake. Later we will also have the chance to swim in one of the natural sulfured water pools (often used in the field of cosmetology for skin care). In the afternoon, we can take a hike to the Taíno cave “Las Caritas” with its petroglyphs and enjoy an amazing panoramic view over the lake and the mountains of Bahoruco. Overnight at Rancho Don Cesar situated in Paraiso. After breakfast we will set out to explore Jaragua National Park, the largest in the Dominican Republic, which its spectacular beach, Bahia de las Aguilas, which is named that after the eagles who took refuge in this area and is known by locals as the most beautiful beach in the entire country and is renowned for its white sand beaches and crystal-clear water. To fully discover this paradise, we will pass through the small village of La Cueva, famous for its caves. The area is known for its prolific birding as well, with 130 species of birds, and among then 76 are living permanently in the bay, 10 are endemics and 47 are migratory birds. On our last day of this trip encompassing trip, we will make our way all the way up to the Sierra de Bahoruco in a safari truck to the unique Larimar Mine. This famous larimar gemstone has a turquoise color similar to the color of the Caribbean Sea. First discovered in 1974, the Dominican Republic is the only country in the world where this precious stone can be found. Later we will make our beautiful coastal drive back to Santo Domingo. End of services.